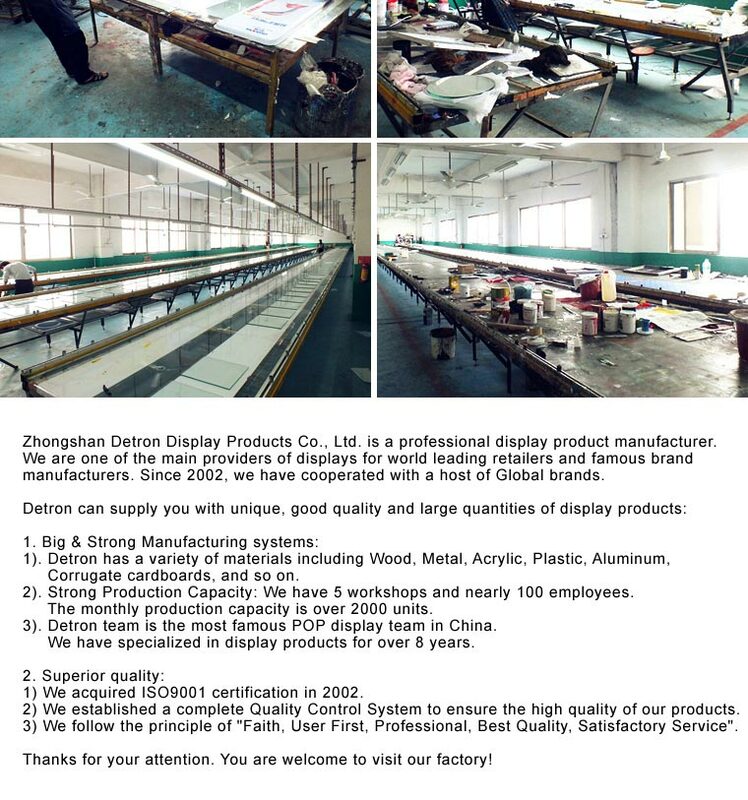 Zhongshan Detron Display Products Co.,Ltd. 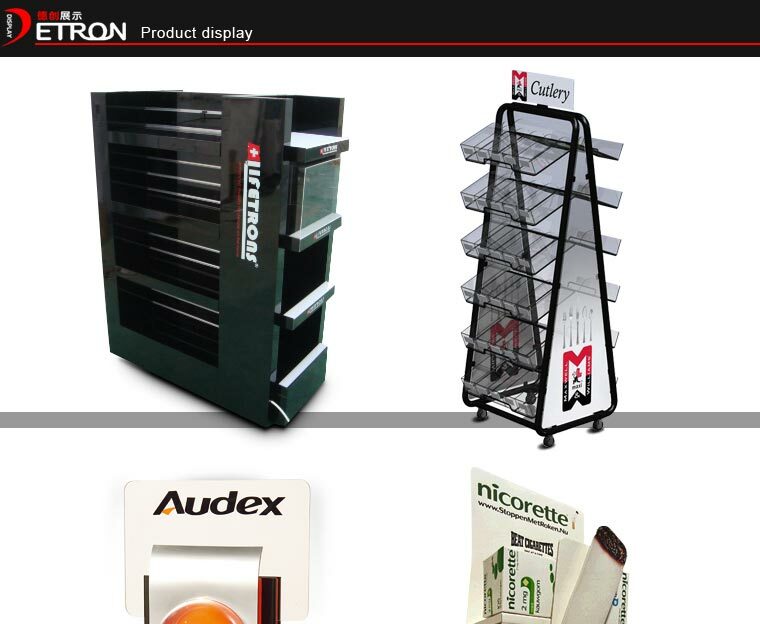 Is a modern factory specialize in design, manufacture, selling of various ofdisplay products. 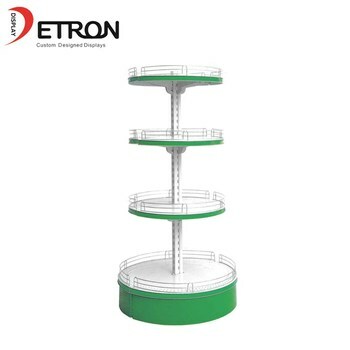 Meanwhile, we also can provide a full sets of profession service to any kind of clients in order to promote their products in the shop. Q: How to pay the money? 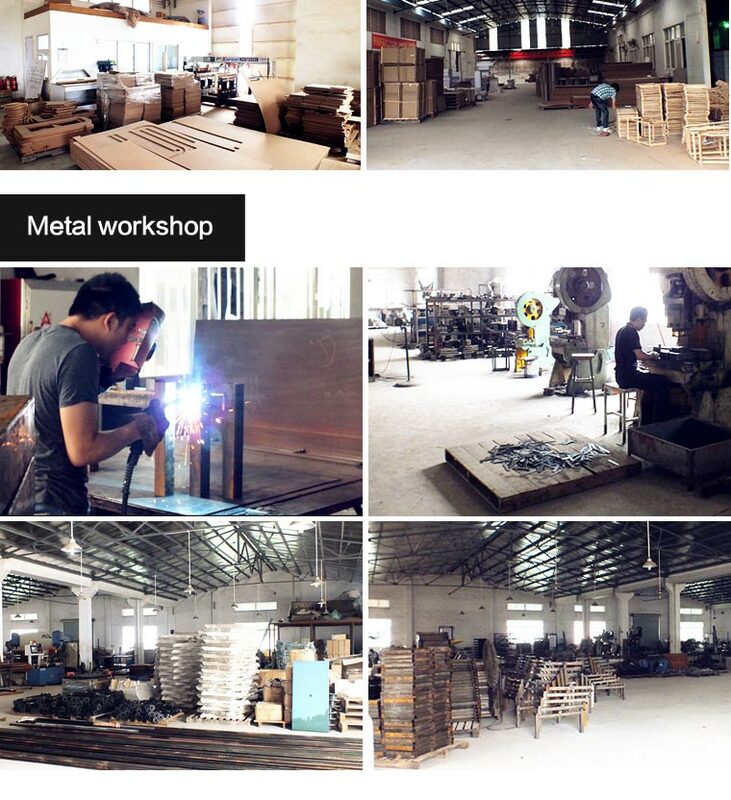 we will send the detail information to you. R:Normall , We offer the EXW or FOB price, for the high risk and unstable fuel prices, hope you can understand us. R: It can be Ocean Shipping, Airlift and Express (EMS, UPS, DHL, TNT, and FEDEX). So before placing order . please contact us to confirm your preferred shipment method. Q: Is the sample fee can be refund? R: Yes,It can be refund to you 30% at least once your production order is confirmed. R: Sorry,The drawing can not be free unless we get your sample order. Just contact us right now!